Michael Gove has just delivered his keynote speech to the NFU Conference in Birmingham – you can read the full speech here. I have selected the passages which refer to the uplands. 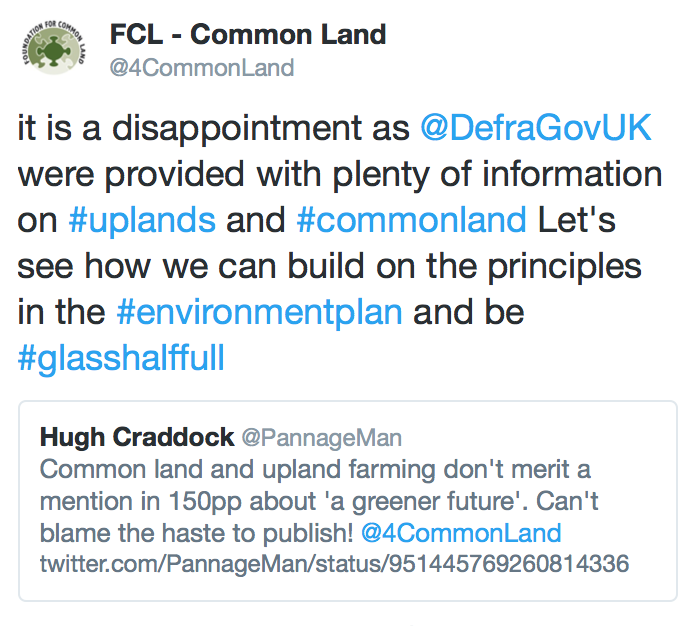 The specific mention of uplands and hill-farmers as ‘public goods’ therefore entitled to ‘public money’ will be seen as a big relief to many as the 25 year Environment Plan made no mention of the uplands at all and led to consternation in some quarters. e.g. So that does mean …. asking how we can support those farmers, for example upland sheep farmers, whose profit margins are more likely to be small but whose contribution to rural life and the maintenance of iconic landscapes is immense. but it was curious to say the least that they didn’t get a mention in the 25 year Environment Plan. So Michael Gove has responded to the ‘feedback’ he has received and made specific mention. The Devil though is still in the detail which we have yet to see. This should begin to emerge once the Consultation Paper on the future of agriculture is published in a month or so. will hill-farmers be prepared to earn it by the providing the public goods? 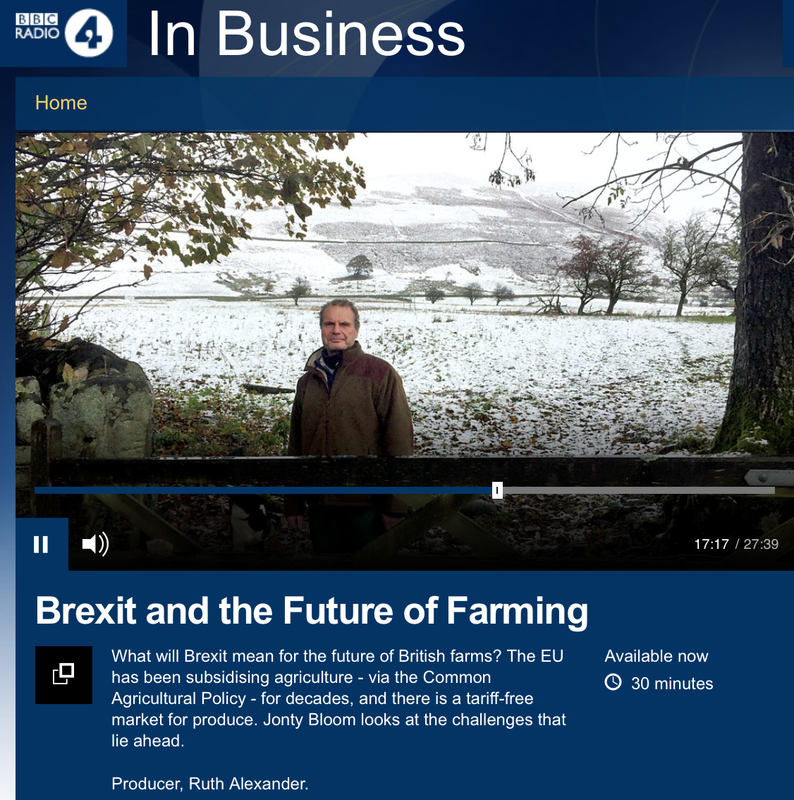 This is a very good BBC radio programme on Brexit and the future of farming in the UK. It is very balanced, pretty terrifying and shows how political the whole issue is. It is 30 minutes long and well your your time. 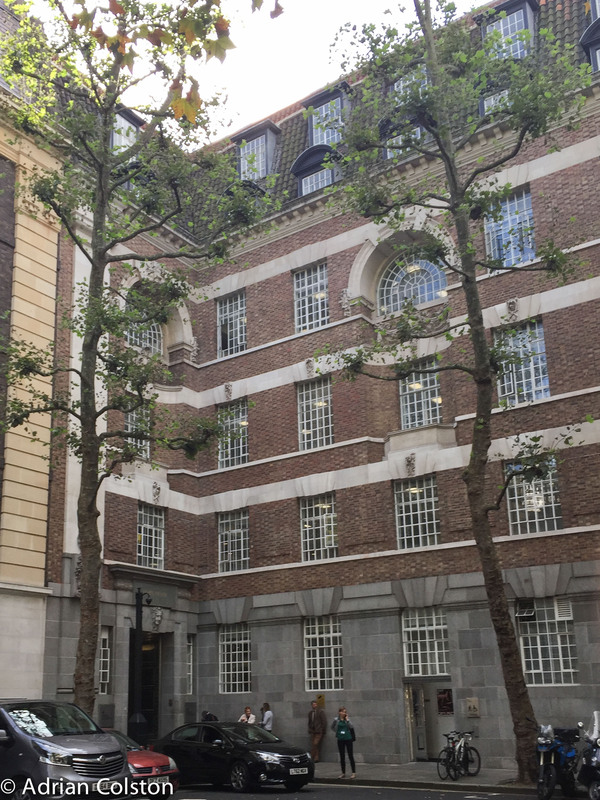 Yesterday I spent the day in London at an Uplands Alliance meeting which was hosted by DEFRA at their Smith Square headquarters. 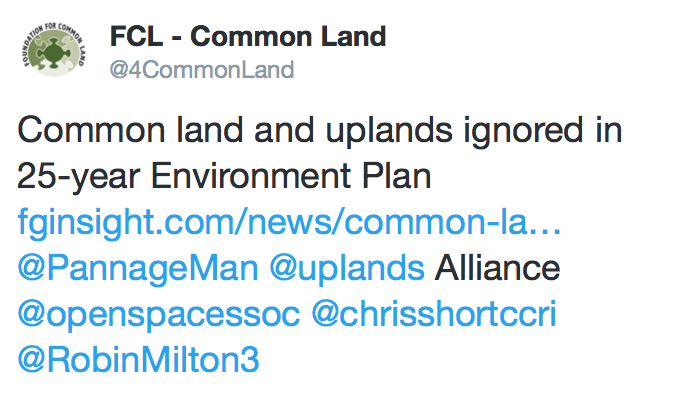 The Uplands Alliance is a loose coalition of all those organisations, individuals and academics with an interest in the uplands of the UK. It is a forum which facilitates discussion and communication rather than a body which produces position statements – see here. Following the vote to leave the European Union a huge cloud of uncertainty now hangs over the Uplands – the Uplands Alliance suggest that 31% of upland farm incomes are derived from the Basic Payment Scheme and Countryside Stewardship – without these subsidies many if not most upland farmers would not be able to survive. Following Brexit the Basic Payment Scheme is only guaranteed until 2020 and there is currently a hiatus around new Countryside Stewardship schemes. Prior to the EU referendum two ministers now in DEFRA (Andrea Leadsom and George Eustice) set out their views on agricultural subsidies via their thinktank ‘Fresh Start Project’ (see here). They alluded to the end of Pillar 1 payments (the Basic Payment Scheme) and Pillar 2 monies (Countryside Stewardship) should be focused more on the marginal land to deliver environmental benefits. Agricultural subsidies are going to change maybe radically and it is therefore against this backdrop that the Uplands Alliance met yesterday. There is real fear in the uplands about the future due to the changes and the uncertainty but there are also real opportunities and if you like reading smoke signals or listening to the jungle drums the wind might be blowing favourably towards the uplands. 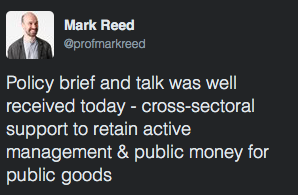 He later tweeted this and note the phrase public money for public goods appearing again. Minette Batters, the NFU’s Deputy President very articulately made the case for maintaining and supporting farmers in the uplands but didn’t use the phrase public money for public goods. After lunch Sonia Phippard, the Director General of the Environment and Rural Group at DEFRA spoke, she suggested ‘it will take some time‘ to present new policy and that it was ‘too early to speculate what comes next‘ but nevertheless ‘we need to be radical in our thinking but realistic in our delivery’. She also did say that the hiatus around Countryside Stewardship needed to be sorted out in discussion with the Treasury. The remainder of the day was spend in 8 breakout groups looking at four different scenarios. What are the three most significant human Responses to the scenario and three most significant environmental Results of the scenario? What are the three biggest Risks resulting from the scenario? What are the three most important evidence gaps emerging from the scenario that need to be filled by Research? It is important to note that these scenarios were not consultation options they were more ‘straw men’ to elicit debate and discussion. I am not going to attempt to summarise these workshop as I only attended one of the 8 but a couple of key messages came out. The amount of money required in the uplands to keep farming in the hills to farm and deliver with others the public goods is actually much less than many would have thought. Of the £3bn of current CAP money paid to farmers in the UK (via Pillar 1 and Pillar 2) £231m goes to the uplands (around 7.7%). 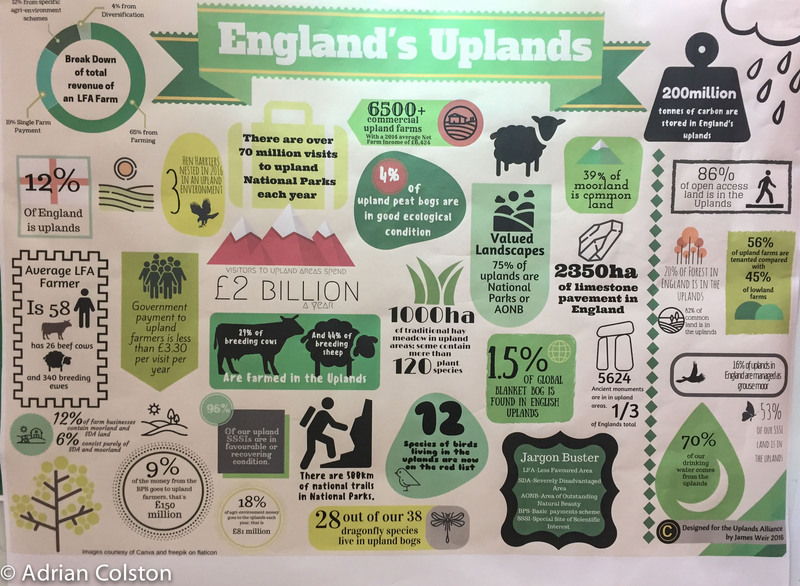 More will be needed to deliver many of the environmental improvements but £231m will keep the hills in active management and therefore support upland farmers and rural communities. The next key task therefore is engaging with the public to ensure they are aware of the ‘public goods and benefits’ in the uplands i.e. wildlife, water, carbon storage, access, landscape, historic environment etc etc so that when the crunch comes the public are prepared to allow their money to be used to deliver them. The other noticeable feature of the day was the large amount of consensus between all the participants. This is perhaps not unprecedented but it is unusual as stakeholders in the Uplands have plenty of history when it comes to disagreement and conflict on a number of topics! But at this high level strategic approach there was much agreement, of course the devil will be in the detail and inevitably there will be difficult days ahead. 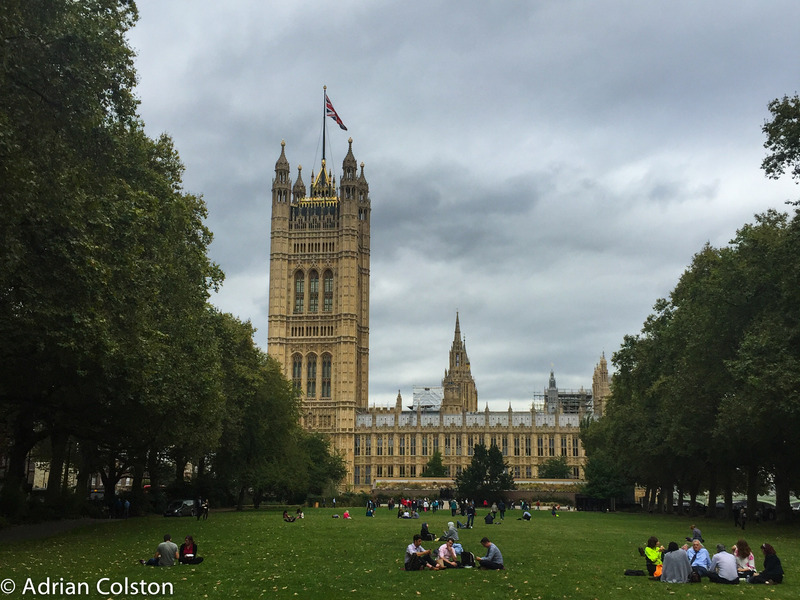 The meeting was chaired by Michael Winter (from Exeter University) and Julia Aglionby (Foundation for Common Land). At the beginning of the meeting Michael paid tribute to Ian Mercer who died a couple of days ago (see here) and dedicated the meeting to him – most appropriate and I am sure Ian would have been delighted with the outcome. 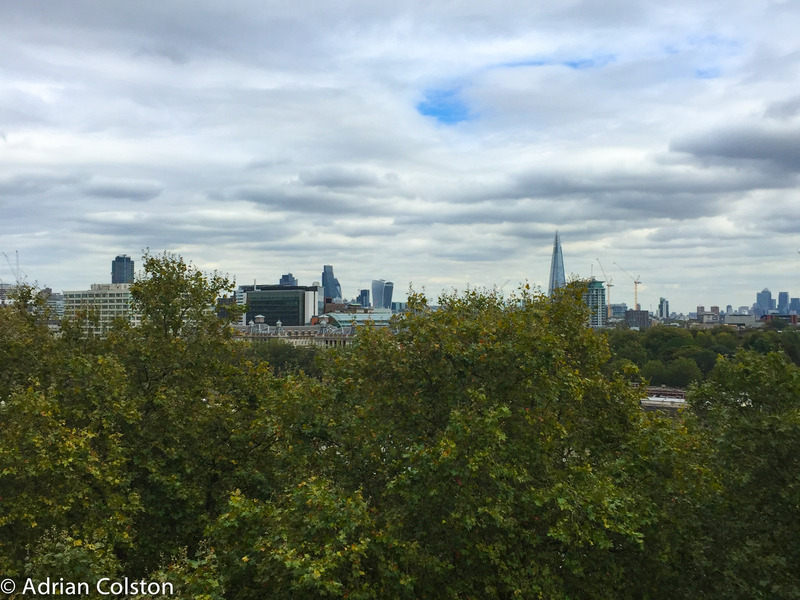 One of the themes that runs through my blogs is how the intensification of British agriculture is detrimentally impacting on wildlife, habitats and the environment generally. For example I have written recently about the huge growth in maize cultivation (see here), the decline of the cuckoo (see here) and the loss of heather on Dartmoor (see here). 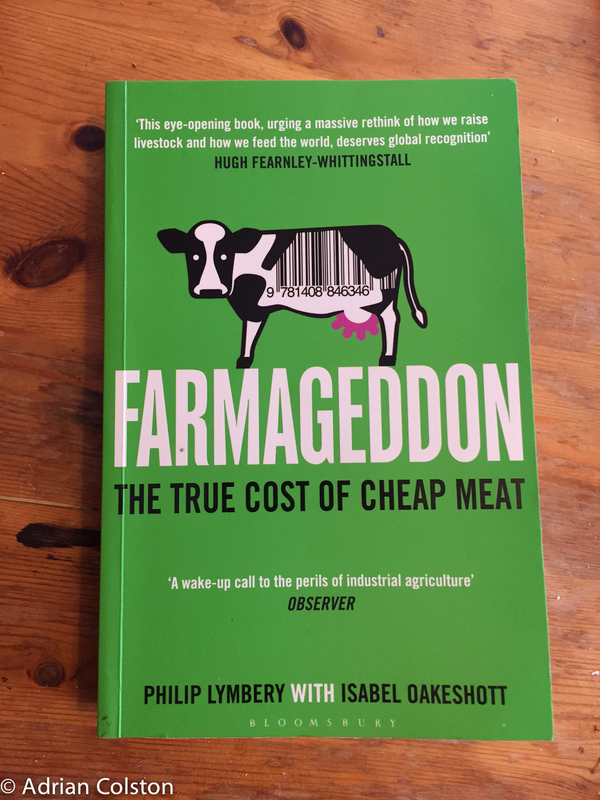 I guess therefore that it is no surprise that I am attracted to read a book entitled ‘Farmageddon’ by Philip Lymbery who is the CEO of the organisation Compassion in World Farming. To be honest I can only read the book in the small chunks as it is quite depressing but it unfortunately does tell a tale which we all eventually need to confront. For me, the key sentence in the book is this, it is talking about factory farmed animals, “Together they consume a third of the world’s cereal harvest, 90% of its soya meal and up to 30% of the global fish catch – precious resources that could be fed direct to billions of hungry people.” Unbelievable except that it is true. Factory farming involves keeping animals inside sheds all year round and feeding them there on cereals, soya or fish meal. 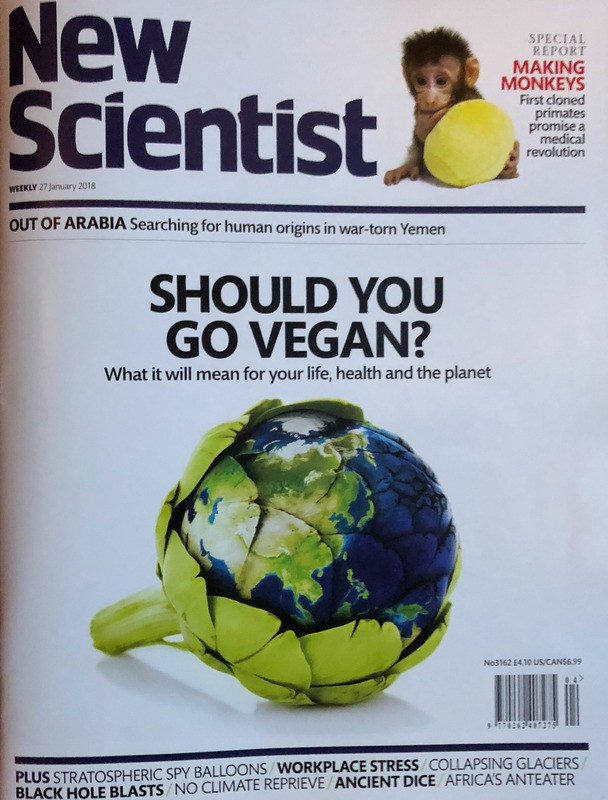 This raises all sorts of issues surrounding animal welfare, pollution (from their waste), overfishing along with the intensive pesticide, fertiliser driven agriculture needed to produce the animal feed. Livestock agriculture also produces around 10% of manmade climate change. This is of course all driven by the world population’s desire to eat meat rather than having a vegetarian diet. Livestock agriculture requires around 10 times as much land to grow the same amount of food which is plant based. Different types of livestock agriculture have varying efficiencies of converting ‘grass’ into animal protein – this is called the feed conversion ratio – see here and here for more details. There is an interesting article in the Economist from 2013 setting out the same story – see here. So what is the situation in the UK regarding the production of meat? 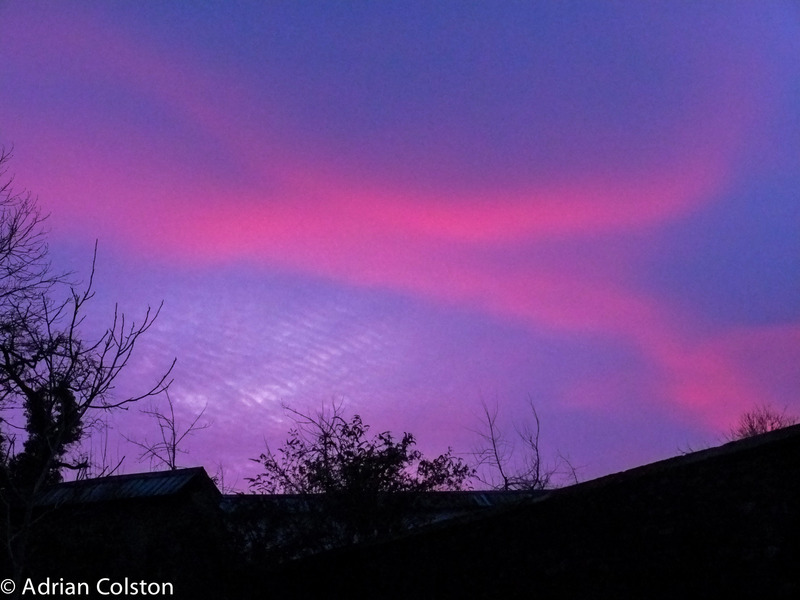 Pig and chicken farming in the UK is generally pretty intensive with animals reared in sheds. However when it comes to cattle we have not adopted a factory approach to beef/dairy production yet. Cattle and diary cows in this country feed on grass fields during the spring, summer and autumn and are only brought into sheds in the winter when the ground conditions deteriorate. This method has much higher animal welfare standards than factory farming but it not without its environmental impacts – most cattle and diary cows are pastured on improved fertiliser enhanced grasslands. 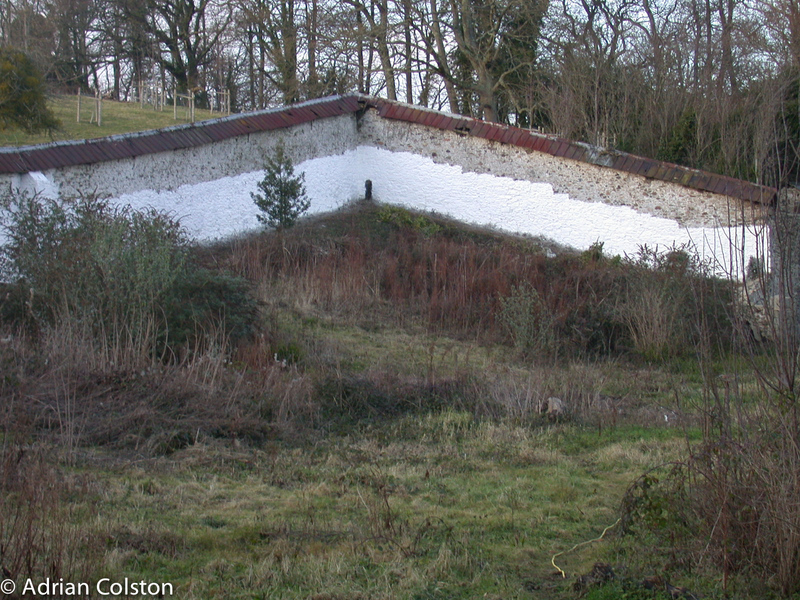 Feed does have to be grown to feed the animals during the winter – traditionally this would have been hay or silage but now is more likely to be maize. 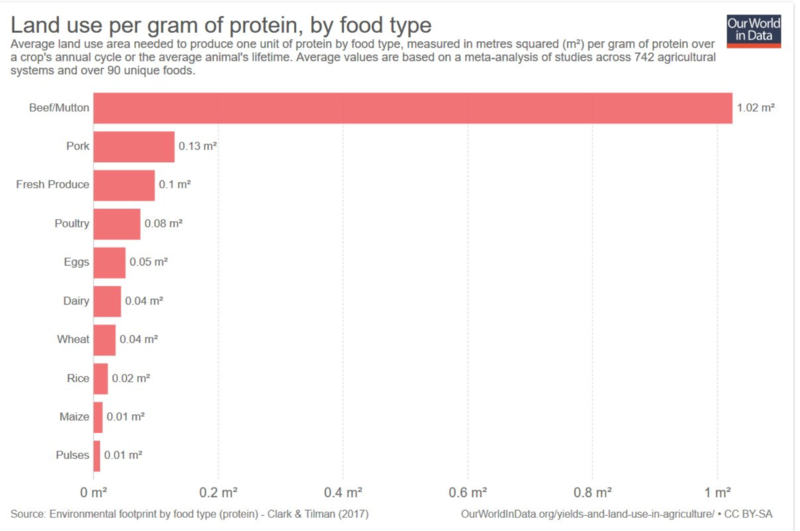 In essence if we in the UK ate 1/2 or 3/4 the amount of beef we currently do it would free up a huge amount of land where crops could be grown which we could eat instead. 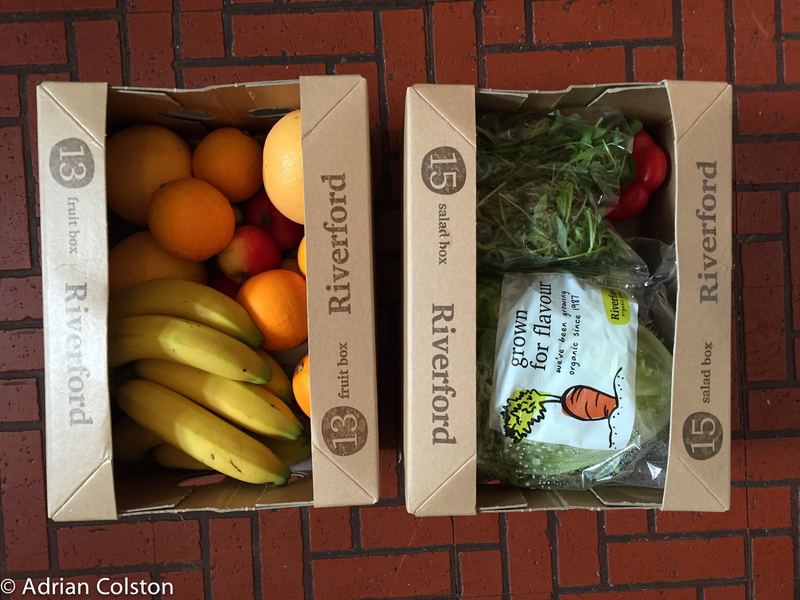 Interestingly I have just started getting my fruit and veg from Riverford – the organic farm co-operative near Totnes. 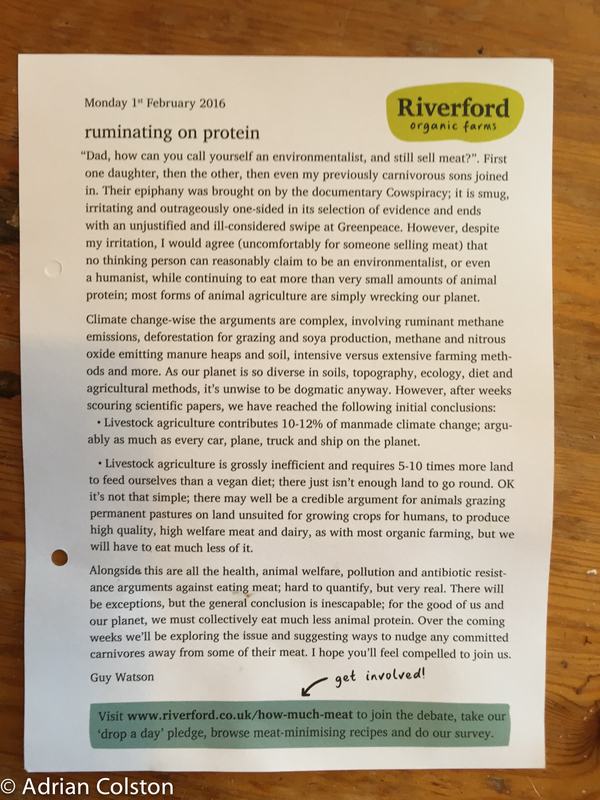 In my box this week was Guy Watson’s weekly article – on this very topic ‘Ruminating on ruminants‘. If you want to read more about the Riverford’s ‘How much meat’ debate – press here. 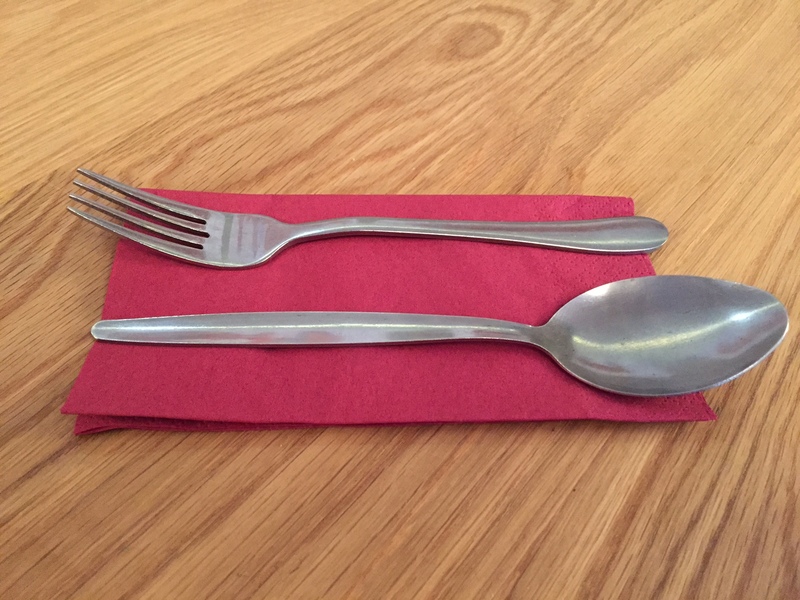 This isn’t an anti meat, anti farming debate – it is about how we can sustainable manage the planet and feed the growing population – by making meat a bit more of a luxury item and not an every day necessity would make a massive difference. Let’s also be clear many of the wildlife habitats and landscapes we cherish in this country and elsewhere depend of cattle and sheep grazing for their survival. There may be a debate about whether our uplands are overgrazed but as I have said before without any grazing on Dartmoor we would lose a huge archaeological landscape from the Bronze Age and many habitats and species we love – see here for example. 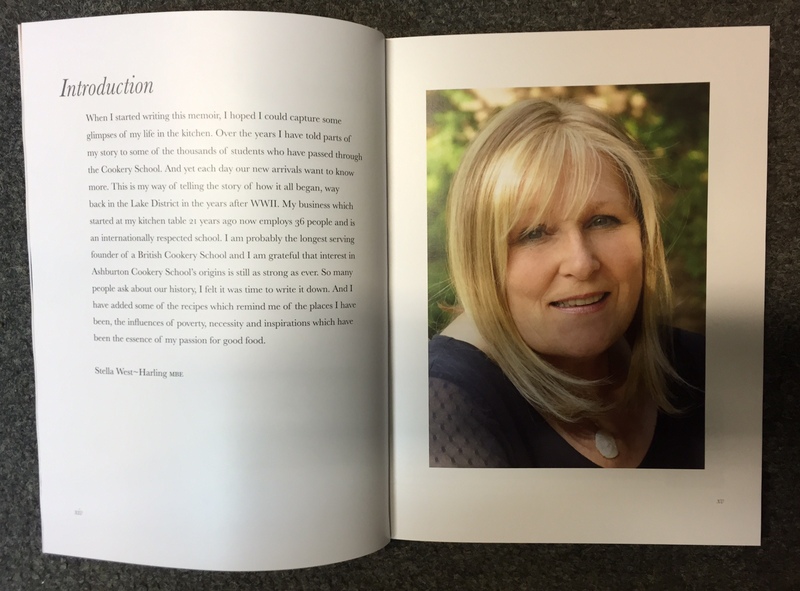 Stella West Harling, the founder of the Ashburton Cookery School, Dartmoor champion and food guru has just published a new book – A Cook’s Story – it is a great culinary autobiography. 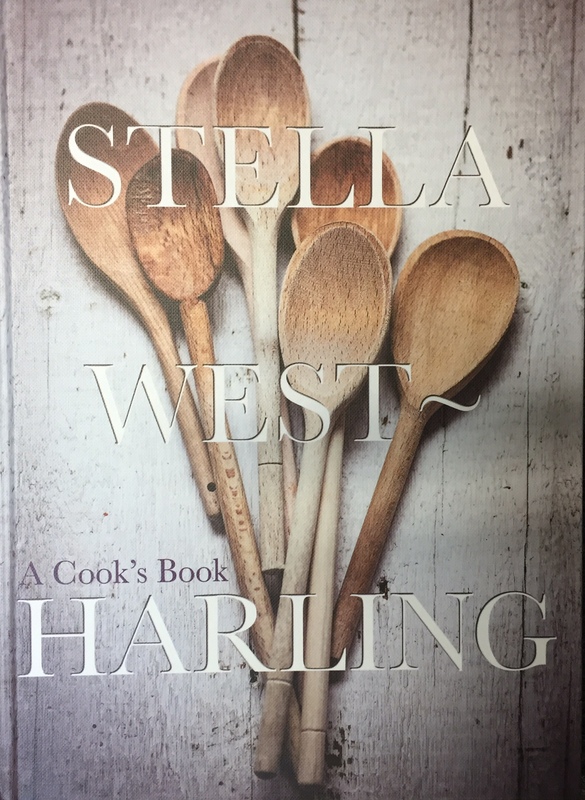 It talks of her life starting off in the Lake District and recounts her journey which culminates in Devon, The Ashburton Cookery School and Home Farm Cafe, sprinkled amongst the story are over 100 recipes and Stella’s views on good food. It is a great book and would make an excellent Christmas present if you are still looking for one. To be honest it is a must have book either way. It is available at lots of local bookshops and of course at Home Farm Cafe. 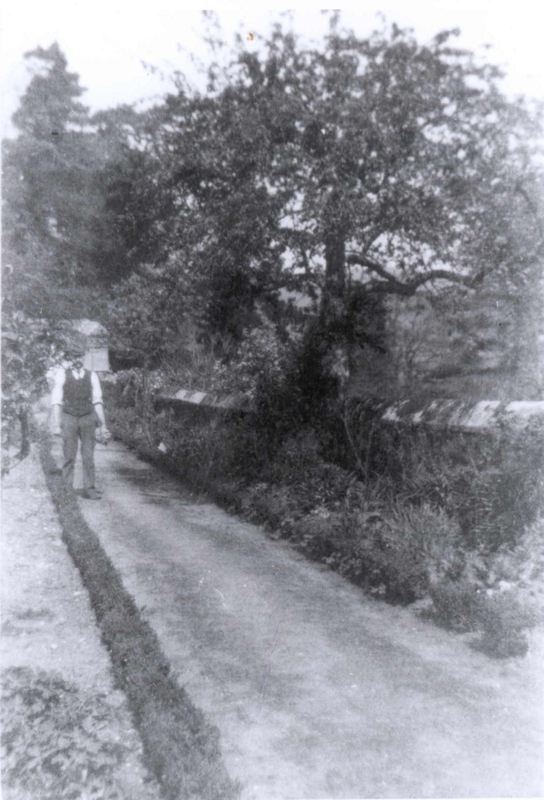 I first met Stella West-Harling a few years ago when my colleague Gus Fergusson (the now retired Head Ranger for South Dartmoor) introduced me to her and encouraged me to think about discussing whether we might form some type of partnership to bring a cafe to Parke. 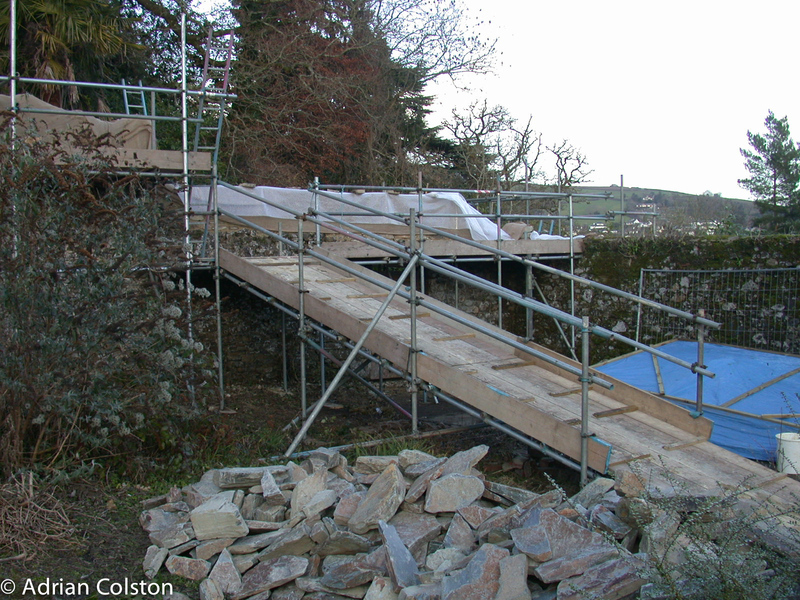 At the time I was running Castle Drogo as well as the rest of National Trust Dartmoor and although we really wanted to open a cafe at the rapidly ’emerging’ Parke I couldn’t see how we could find the capacity to set up and run a new cafe. 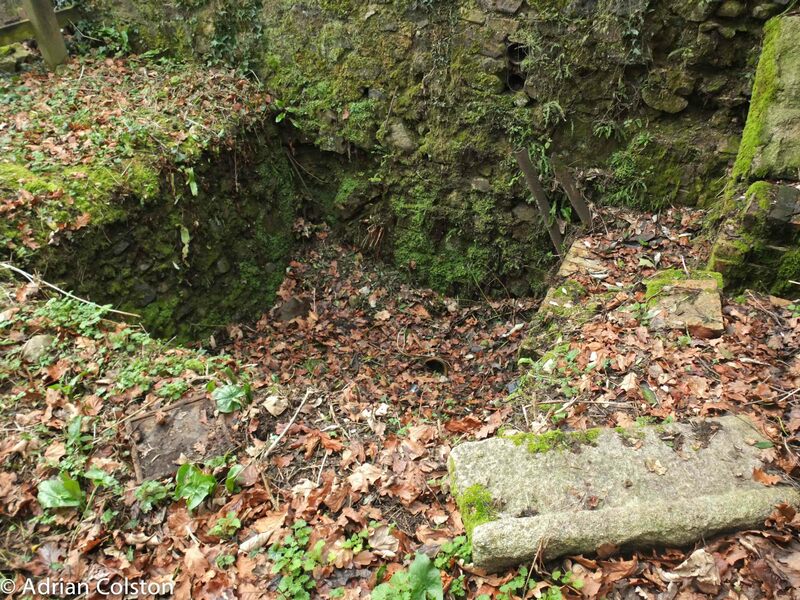 I was already responsible through my teams for cafes at Castle Drogo, Lydford Gorge and Finch Foundry and to be honest my main preoccupations were the Castle Drogo ‘building project’ and creation of new cycle trails at Plymbridge. So I met up with Stella and Gus to discuss Parke …….. Stella, to be honest is rather formidable and I came away from the meeting thinking she thought I was a bit of a corporate twurp – I had spent most of the meeting spluttering at Stella’s view of the world and in particular the part the National Trust played in it! 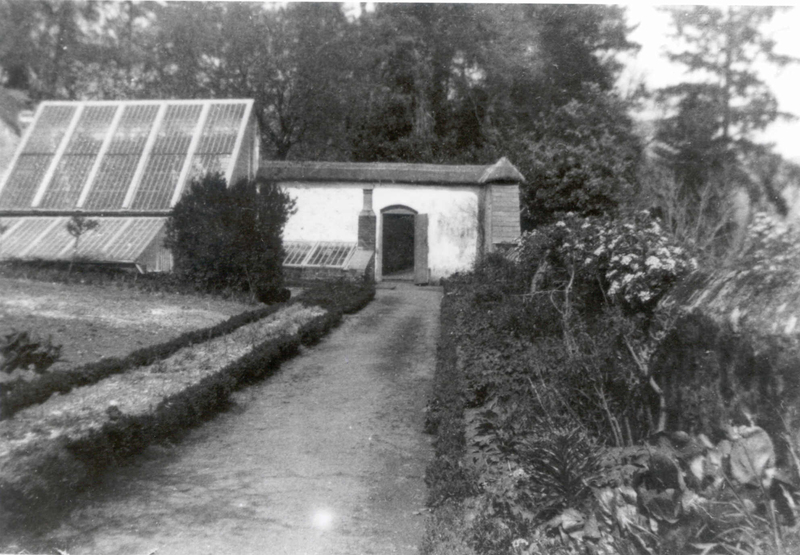 Nevertheless I liked her a lot and saw that she had the skills, experience and backing to enable us to jointly achieve what we both wanted – a first class cafe at Parke which people would love and an offer which would drive new visitors to our lovely but then ‘sleeping giant’ property. The rest is now history and it has worked brilliantly – see here. 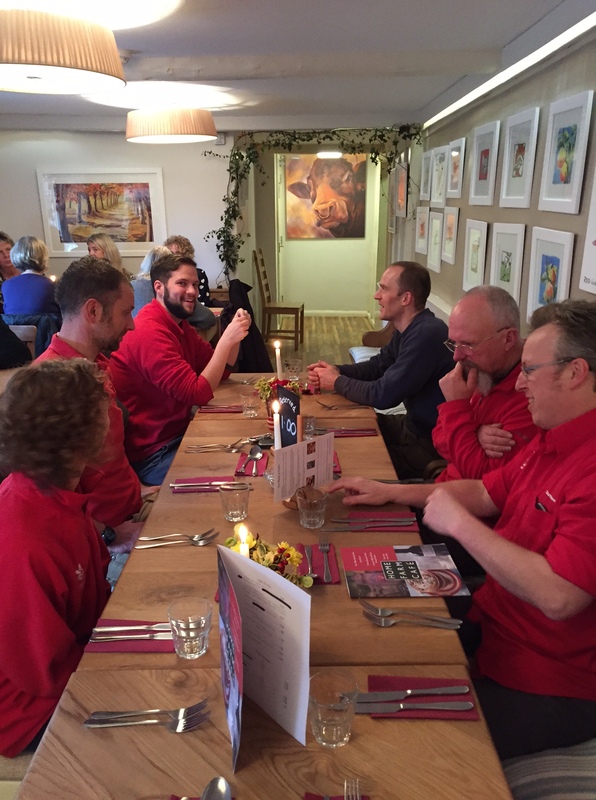 All the NT staff love Home Farm cafe along with the team who work there and indeed we even had our Christmas lunch there yesterday.